PAFtec launches a new large capacity gas filter for the CleanSpace Respirators for use with particulates. 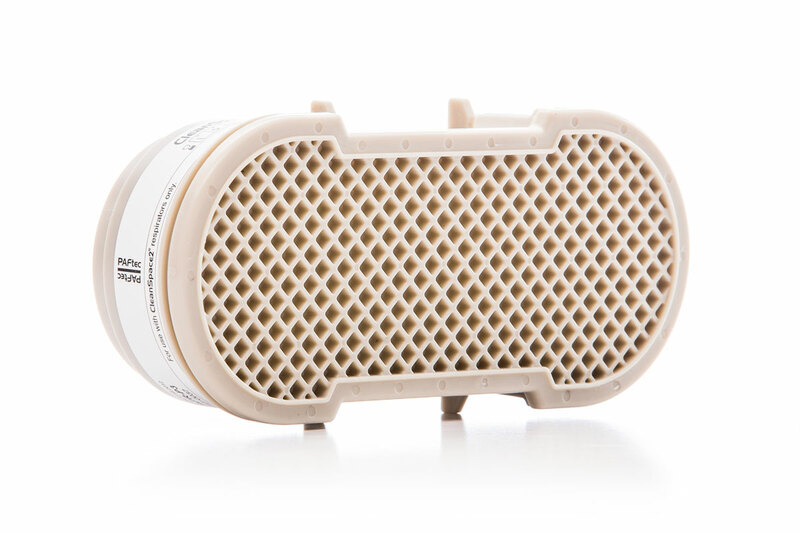 The filter [Code: PAF-0037] is a particulate P3 TM3 filter certified to EN 12942 (CE Mark). The deeper pleating beds and has four times the surface area of the CleanSpace standard filter and is recommended in concentrated fine dust streams e.g. galvanised welding.